Where the use of conventional swinging gates is not feasible due to space restrictions, automatic cantilevered sliding gates are an ideal solution. 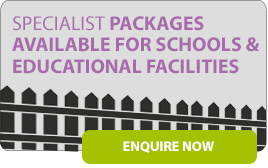 Metafence is established as one of the UK's leading installers of high quality manual and automatic sliding gates to your individual requirements, ensuring the highest level of quality and customer satisfaction. All automatic sliding gates are BSEN 12435 safety compliant. We offer a bespoke service from design to manufacture and can supply both a custom built gate to a meet a client's needs or match to a client's existing fencing, thus ensuring that the finished product is exactly what is required. The standard round tube infill can be replaced by a variety of infill options including 'D' or 'W' profile steel palisade pales, timber panels, solid sheeting and various mesh panels enabling good integration with all fence systems. 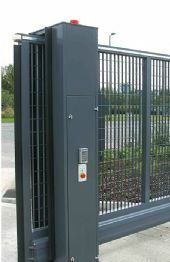 Metafence automatic cantilever gates have a manual release mechanism concealed within the lockable housing unit, allowing manual control of the gate in the event of a power failure. To aid the safety aspect the portals are fitted with dual-height photo cells and rubber profile safety edges. The gates are operated by a programmable logic controller, operated via an inverter, which allows for programming of various parameters such as gate speed, passage timeout, automatic opening times and free exit loop operating times. Anti-climb spikes are optional for gates over 1500 mm high. 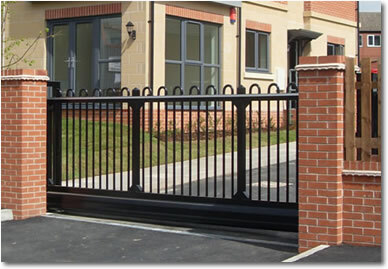 Metafence is able to offer a variety of finishes to the gates and would be pleased to answer any queries. Gate Automation ~ Gate Maintenance ~ Access Control In Reading, Newbury, Bracknell, Maidenhead, Slough, Berkshire, Hampshire and Oxfordshire.